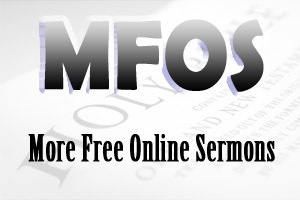 FREE 3 POINT SERMON OUTLINE follows the deductive model of sermon outlining. How to create a sermon outline that has 3 points involves four simple concepts. Master these concepts and you will be writing 3 point sermon outlines with EASE. Athough this is a given, nevertheless, some times this is a truth we often forget. That is, every sermon has three parts - an introduction, a body and a conclusion. The road map for the body of your sermon is the three point sermon outline. The three components to a sermon outline are the main preaching point, the sub-points and the incidental points. One of the most difficult processes in sermon outlining is structuring the sermon outline so that it has cohesion and sequence. And yet, this is very simple process really if you follow my model for sermon outlining. I usually link the main preaching point with the sub-points and incidental points with a HINGE word or HINGE Words. The HINGE word is always a plural noun. For example, you are preaching through the Book of Hebrews and you come to Hebrews 4:14-16. The main preaching point in this passage is Coming To Jesus For Counsel. And this passage is telling us why we should come to Jesus for counsel. Furthermore, you may have four incidental points explaining and expanding the concept of Jesus being our great High-Priest, which is point one of the sermon outline. If you master these four simple concepts outlined above, you will create 3 point sermon outlines with EASE. You can download free 3 point sermon outlines and how to write a sermon outline with ease by clicking on Free 3 Point Sermon Outline.